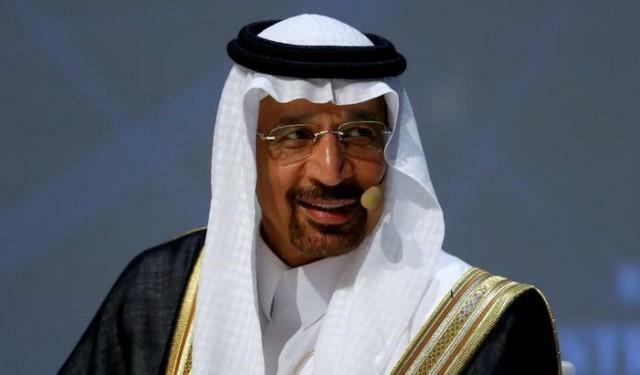 Azerbaijan is the most constructive member of OPEC +, Khalid bin Abdulaziz Al-Falih, Minister of Energy, Industry and Mineral Resources of the Kingdom of Saudi Arabia, said, Trend reports. Al-Falih stressed Azerbaijan's role in stabilizing the oil market. The minister added that relations between Saudi Arabia and Azerbaijan have deep historical roots and the countries have strong political ties. Speaking about today's meeting with Azerbaijani Energy Minister Parviz Shahbazov, Al-Falih said that the sides discussed a wide range of issues, including the possibility of implementing joint projects in the field of energy and alternative energy. The minister thanked Azerbaijan for organizing and holding a meeting of the OPEC Joint Ministerial Monitoring Committee in Baku. Speaking about the upcoming event, he stressed that he was very optimistic regarding the implementation of commitments within OPEC +. The 13th meeting of the Joint OPEC and non-OPEC Ministerial Monitoring Committee will be held in Baku on March 18. Baku is hosting the 27th meeting of the Joint Technical Commission on March 17. The participants will discuss the current situation in the oil market, existing problems and other issues. The presentation on the pace of development of the oil market will be held and the report of the Joint Technical Commission on oil production indicators for February will be heard during the meeting.